Keeping your office space or warehouse organized can help improve your daily operations, which is why many companies consider commercial storage. Getting rid of clutter in the workplace makes it easier for your employees to get around in the office, allowing them to have more time and energy to focus on helping clients. Here, you’ll find a few more reasons how commercial storage can benefit your business. One leading advantage of renting a storage unit for your company is that it frees up vital space in your facility. If you’ve got a small office, then you likely need all of the room you can get to house your employees and equipment. Commercial storage allows you to temporarily store items you don’t use on a regular basis to capitalize on your facility’s square footage. If you have a closet full of documents, or a corner of the office where unused items are placed, storing it may be a great solution. 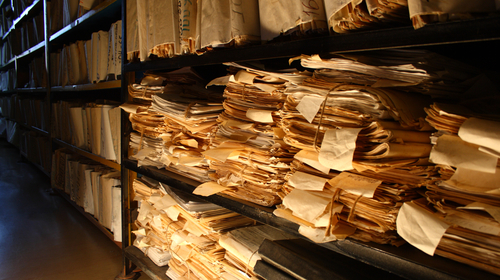 Not every business relies on digital databases to secure their important information. If your company has boxes of valuable documents, storing them in a secure place to protect your clients’ information and privacy is critical. One of the best ways to ensure they don’t ever get lost or damaged is to house them in climate-controlled storage facilities, where they can be easily located when needed. When you’re relocating or switching out items in the workplace, having a commercial storage facility on hand is extremely useful. If the office is moving locations, but you’re unable to bring all of your staff’s equipment into the new facility immediately, a storage unit can provide a haven for the office’s valuable equipment until moving day. It’s also a convenient place to house items that you’ll need on a temporary basis, such as cubicles, desks, and other furniture, which will change based on the number of employees you have at a given time. If you’re a business considering your storage options, enlisting the help of a dependable storage rental company can make the process much easier. Contact the trusted commercial storage providers at Central Storage, in Rochester, NY. They offer a wide range of storage solutions in secure units of varied sizes for residents and businesses alike. They’re also conveniently located near the Amtrak line and Park Avenue neighborhoods. To learn more about their services, call them at (585) 232-1141, or visit their website for a closer look at what they have to offer.